Hundreds of Palestinians performed the Friday’s Dawn and Noon Prayers in the street of Jerusalem on the asphalt after they were prevented from entering A-Aqsa Mosque; the Israeli forces deliberately harassed and suppressed the worshippers. The occupation forces were deployed since the early morning hours in the streets of Jerusalem and prevented men under the age of 40 from entering the Old City of Jerusalem or Al-Aqsa Mosque. Therefore, they were forced to perform the Friday Noon Prayer on asphalt in the areas of Wadi Al-Joz, Dung Gate, Ras Al-Amoud and Herod’s Gate (areas leading to Al-Aqsa Mosque) in addition to prayers held at Al-Aqsa gates stressing their refusal to the Israeli unjust decisions; they were surrounded by the occupation forces. The occupation forces deliberately suppressed the worshippers in the streets of Jerusalem by pushing and preventing them from moving and by firing sound grenades towards them. At Damascus Gate -Al-Musrara area, the Israeli forces fired sound grenades towards a group of worshippers (before the prayer) and arrested the young man Wasim Bader after assaulting and severely beating him. In Nablus Street (area of Damascus Gate), the forces fired a sound grenades towards a group of young men after finishing the prayer while the Special Forces pushed the worshippers before and during the prayer; worshippers organized a march in support of Al-Aqsa. The forces also suppressed the worshippers near Al-Majles Gate and pushed them and fired a sound grenade towards the young men; they also pushed them near Al-Silsileh Gate. The forces fired two sound grenades to disperse the worshippers in the area of Wadi Al-Al-Joz and pushed the young men who attempted to cross the iron barriers in an attempt to reach their home after the prayer. In the neighborhood of Ras Al-Amoud, the forces fired sound grenades towards the worshippers who were getting ready for the Friday Prayer, and fired sound grenades towards the Ras Al-Amoud Mosque. Before the Prayer, verbal altercations broke out in between the worshippers and the soldiers who attempted to prevent them from praying in the streets. The forces also arrested Naser Ajloni from Hutta Gate and the paramedic Wisam Hammoudeh. The village of Jabal Al-Mukabber witnessed the most violent clashes between the occupation forces and the young men Mohammad Ali Aweisat was injured with live bullets by the Musta’ribeen (undercover police) unit; Mohammad was arrested after suffering the injury. Witnesses explained that the village of Jabal Al-Mukabber witnessed violent clashes that started from the Schools’ Street and spread to the middle of the village. During the clashes, a Musta’ribeen unit raided the village in an attempt to execute arrests but the young men confronted them which led to the injury of one of them with burn due to a Molotov Cocktail. Also, some of them were injured with live bullets by mistake when trying to open fire towards the young men. According to the initial information available to Wadi Hilweh Information Center, the vehicle of the Musta’ribeen had two people that raided the village and arrested a child but the young men were able to free the child. During the raid, stones were thrown towards the Musta’ribeen and one of them was injured. The Musta’ribeen unit attempted to set-up another ambush for the young men in a different street and a Molotov Cocktail was thrown at them. The center was informed that the occupation forces raided and searched houses in the village and also executed random arrests in the area. The force also arrested the journalist photographer Mahmoud Alayan- Al-Quds Newspaper photographer- while monitoring the events in the village of Jabal Al-Mukabber. The forces arrested Yazan Sami Aweisat (18), Laith Khalayleh (17), Mujahed Obeidyeh (16), Ahmad Aweisat (17), Shadi Za’atra (22), Mohammad Alayan Shkeirat (21), Mohammad Alayan (23) and Ibrahim Mashahra (20) from Jabal Al-Mukabber and assaulted and severely beat them. The forces arrested 6 Jerusalemites from Silwan under the pretext of chanting “God is Great” near Ein Silwan and the guard of Elad settlement organization attempted to prevent them from entering Al-Ein and called the police which arrested the young men. The detainees are: Ala’ Abu Tayeh (17), Mohammad Abu Thiab (17), Mohammad Hashem Al-Qaq (21), Ali Abu Thiab (20) and Salah Al-A’war (20). 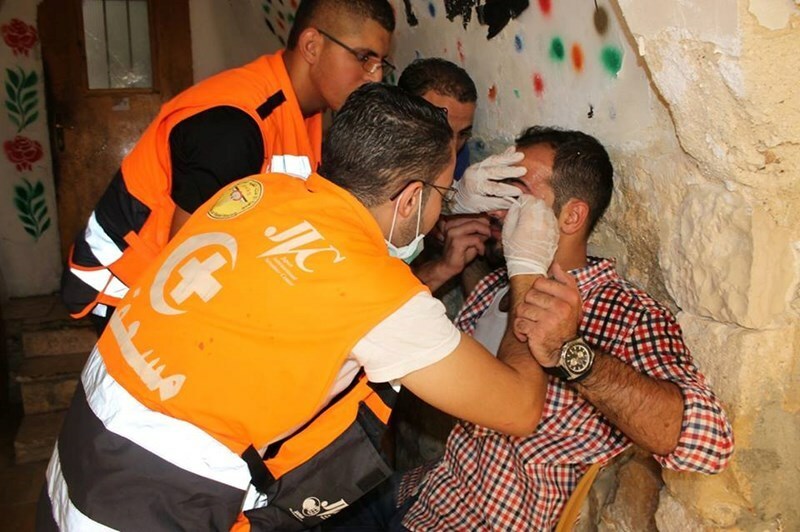 One child was injured with a rubber bullet in the head during the occupation forces’ raid on the village of Al-r. The forces randomly fired tear-gas and sound grenades and rubber bullets and turned the streets of the village into a hit-and-run area between the occupation forces and young men who rose up to support Al-Aqsa Mosque for the fifth consecutive day. The forces arrested the child Sami Abu Sara. Clashes broke out in the village of Esawyeh after the occupation forces raided the neighborhoods of the village and heavily fired tear-gas and sound grenades towards the locals and their property. 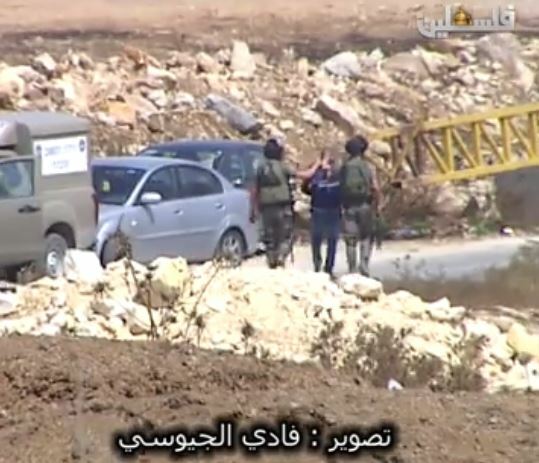 The occupation authorities established checkpoints at the entrance of the village and precisely searched vehicles and passengers’ IDs in an attempt to provoke the residents and harass them; the village of Esawyeh has been witnessing clashes since the beginning of the week in support of Al-Aqsa Mosque. The occupation’s Special Forces raided the building of “Al-Sumoud Camp” in the neighborhood of Sheikh Jarrah and one resident explained that forces raided several houses and arrested the 17-year old Louai Abed Rabbo. The center was informed that the forces also arrested the Jerusalemite Islam Tahan while passing through Qalandia military checkpoint. Clashes broke out in Shu’fat refugee camp and lasted for several hours. Thaer Fasfoos, spokesman of Fateh movement in the refugee camp, explained that an Israeli soldier was injured with burn after a Molotov Cocktail was thrown towards him when dozens of forces attempted to raid the refugee camp. Fasfoos added that the clashes were mostly near the military camp and the forces heavily fired tear-gas in the streets of the camp. Fasfoos was injured with a “new” kind of bullets in his leg while being in one of the streets and dozens others suffocated. The journalist photographer Mohammad Isho was injured with a rubber bullet in his leg. According to the Israeli police, the forces arrested one young man during the clashes. The Special Forces raided the alleys and neighborhoods of Al-Sowaneh east of the Old City of Jerusalem and raided the courtyards of several houses. They also went on top of the roofs of several houses and fired sound grenades in the courtyards. Clashes broke out near the settlement of “Bet Aort” established on the lands of Al-Sowaneh. Clashes also broke out in the neighborhood of Wadi Al-Joz and the forces fired sound grenades and rubber bullets while young men responded with firecrackers. The forces raided the “Hosh” of Sa’eedeh family and assaulted the residents and then fired a sound grenade inside the “Hosh” which led to the injury of a woman in her leg. Media sources have reported, Thursday, that Israeli soldiers kidnapped six Palestinians, including one child, in different parts of the southern West Bank district of Hebron. The sources said the army invaded Tal'at Abu Hadid area, in the southern area of Hebron, and kidnapped Elias Hazem al-Ja'bari, 26, after attacking him and spraying his face with pepper-spray. The army also invaded Bani Neim town, east of Hebron, and kidnapped one Palestinian identified as Kayed Hamdan Tarayra, 31. Soldiers confiscated cameras from a local reporter, identified as Abdul-Hafith al-Hashlamoun, after searching his home in the town. Coordinator of the Popular Committee against the Wall and Settlements in Beit Ummar town, Mohammad Ayyad Awad, has reported that the soldiers kidnapped Mohammad Falah Abu Mariya, 25, his brother Yahia, 20, and handed their brother, Haidar, 20, a military order for interrogation. The three brothers are the sons of Falah Abu Mariya, 53, who was killed on Thursday at dawn, July 23, 2015. He was shot dead by the army, in his own home, as he tried to help his son, Mohammad, who was shot by the soldiers in the pelvis, after they stormed their home. In addition, soldiers kidnapped Raed Omar Sleibi, 19, and assaulted his brother before spraying his face with pepper-spray; he was moved to a local clinic. The soldiers also kidnapped a child, identified as Mohannad Mohammad Abu Mariya, 15, after breaking into his family's home. All kidnapped Palestinians were moved to the Etzion military base for interrogation. It is worth mentioning that the army have kidnapped 19 Palestinians from Beit Ummar, since the beginning of this month. The Palestinian Journalists Syndicate issued a statement strongly denouncing the serious Israeli escalation against the worshipers in the Al-Aqsa Mosque and the Dome of the Rock, Sunday, leading to dozens of injuries, including eleven journalists, deliberately targeted by the soldiers. The Syndicate said the army, and police, deliberately assaulted the journalists, wounding eleven in just a few hours, as dozens of soldiers and Israeli extremists stormed the Al-Aqsa Mosque, the Dome of the Rock and their courtyards. It demanded the International Community to ensure the implementation of the May 2014 Security Council resolution number 2222, regarding the protection of journalists, and prosecuting those who assault them. 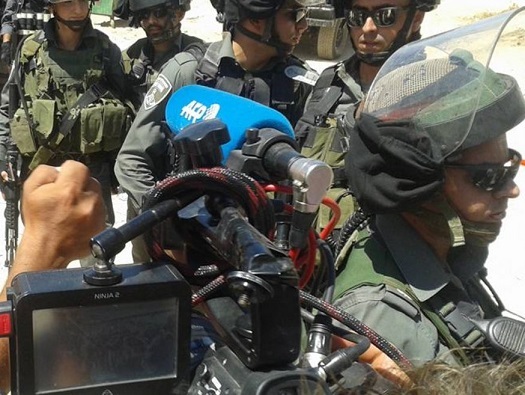 The Syndicate also said that the fact that soldiers injured eleven Palestinian journalists, in just a couple of hours, proves the deliberate illegal Israeli policies, and its attempts to hide the tracks of its crimes in occupied Palestine. In its statement, the Syndicate saluted the journalists in every part of Palestine, especially in occupied Jerusalem, and in Palestinian areas that witness repeated Israeli violations, and clashes. 1. Ahmad Gharabla – French Press Agency, correspondent. 2. Diala Jweihan – Al-Hayat Al-Jadeeda Newspaper, correspondent. 3. Jihad al-Mohtasib – Roya news Agency, correspondent. 4. Monther al-Khatib – Al-Ghad Al-Arabi Newspaper, cameraman. 5. Dia' Hweishe - Al-Ghad Al-Arabi Newspaper, correspondent. 6. Eethar Abu Gharbiyya – cameraman. 7. Mahfouth Abu at-Turk, cameraman. 8. 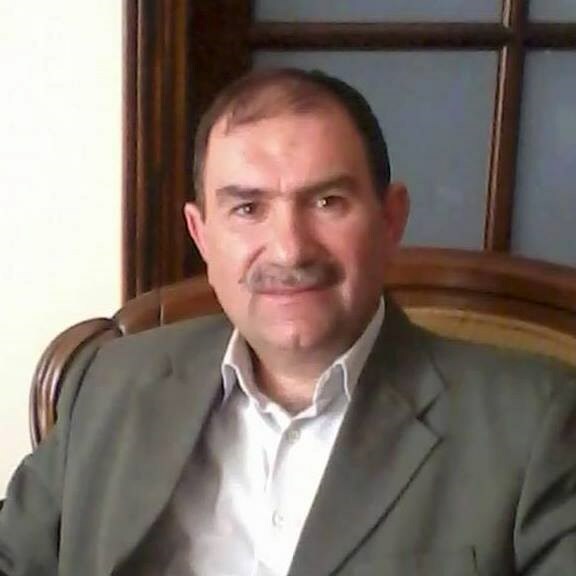 Lewa’ Abu Rmeila – Palestine Today, correspondent. 9. Sayerbon 'Obeid – Al-Quds News Network, cameraman. 10. Ali Yassin – Palestine TV, cameraman. 11. Mo'men Shabana – Maan News, cameraman. The Sunday Israeli military assault and invasions into the Al-Aqsa Mosque, to accompany dozens of extremists, have led to wounding 110 Palestinians, including twenty who were moved to local hospitals; one of them suffered a head injury, and three others suffered chest wounds. The soldiers surrounded the al-Qibli mosque, before occupying its rooftop, and fired dozens of gas bombs and concussion grenades, leading to dozens of injuries, and serious property damage, in addition to fires in the mosque. Several mosque guards have been injured after the soldiers assaulted them, while many have been detained, in addition to a woman and a child. Among the wounded are several medics, and a firefighter who was shot in his arm. 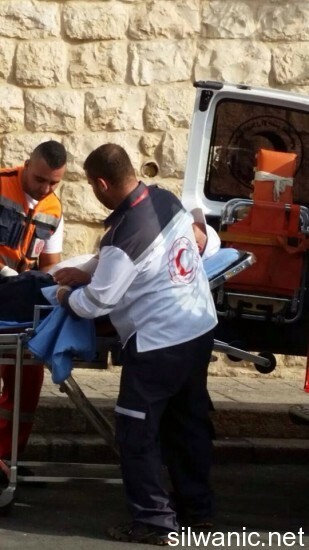 The Palestinian Red Crescent Society said twenty Palestinians, injured in the Old City and in Al-Aqsa, have been moved to the al-Makassed Islamic Hospital, in Jerusalem. Soldiers and police officers also assaulted and wounded many Palestinian women near the Chain Gate, in occupied Jerusalem, in addition to attacking senior leaders, including Member of Knesset Dr. Ahmad Tibi, and various social and religious figures. August of 2015 witnessed a high rise in the number of media freedoms violations in Palestine, and recorded a huge leap compared to what was recorded during July, and when compared to all the months since the beginning of 2015, except for the month of June, which also witnessed a similar number of violations. The Palestinian center for development and media freedoms “MADA” monitored 50 violations in August, a %194 increase compared to July, which witnessed 17 violations. Taking into account that one of the violations monitored in August included 28 journalists from the Gaza Strip, who were prevented by the Israeli occupation from traveling to the West Bank to participate in a media conference, where only three journalists were allowed to travel to the West Bank and participate. According to PNN's report, this increase in the number of violations monitored in August came as a result of an evident Israeli escalation in the suppression of media freedoms, where the occupation army and authorities committed 37 violations in the West Bank and Gaza Strip, or 74% of the total number of violations, while the various Palestinian sides in the West Bank and Gaza committed 13 violations. MADA condemned all violations against journalists and the media, and called to hold those responsible accountable and put an end to all violations. Two Palestinian brothers were kidnapped from their home and many others suffered from inhaling tear gas during an Israeli arrest and search campaign in Abu Aktillah neighborhood, west of al-Khalil city. Local sources reported that the Israeli occupation forces (IOF) kidnapped Abdul-Salam Karamah and his brother Faisal from their home. They also said that the invading troops ransacked homes belonging to the same family, including the house of journalist Radi Karamah. During the campaign in the neighborhood, the IOF clashed with angry young men and women from the family and intensively fired tear gas grenades at them, which caused 15 of them to suffer from suffocation. The occupation forces continued on Thursday the siege on Al-Aqsa Mosque concurrently with a racist decision classifying the Marabouts at Al-Aqsa as a “terrorist organization”. The so-called Minister of Defense, Moshe Yaalon, issued a decision yesterday considering the Marabouts at Al-Aqsa Mosque as “illegal organizations” as recommended by the intelligence service “Shabak” and the Israeli police. Yaalon’s decision prohibits the activities of Marabouts and any activities carried out by them will subject them to “legal prosecutions” under the pretext of disturbing public security at Al-Aqsa through obstructing the settlers’ break-ins to Al-Aqsa and creating problems”. the Mosque. Within a week, new names were added to the list and reached 52 names following an order from the Old City’s officer. The list known as the “Black List” is distributed over all of Al-Aqsa gates and anybody whose name is in that list is prevented from entering Al-Aqsa Mosque from the morning hours until 2:30 p.m. The Israeli Prison Authority renewed, Thursday, the Administrative Detention order against a hunger striking Palestinian detainee, for three additional months, without charges or trial. The Palestinian Prisoners Society (PPS) said detainee Nidal Abu Aker, 46, who is also a journalist and an anchor at the al-Wehda Radio Station, is determined to continue the hunger strike he started on August 20. The detainee is demanding his release, since his imprisonment is under arbitrary orders without charges. Abu 'Aker, from the Deheishe refugee camp in the West Bank city of Bethlehem, is a married father of three children. The Palestinian Detainees' Committee said the Israeli Prison Administration is still pressuring six hunger-striking detainees, who started their strike more than 20 days ago, by keeping them held in solitary confinement, and repeatedly transferring them to different prisons, in order to prevent their lawyers from visiting them. The Committee added it has asked the International Red Cross to intervene, and ensure the detainees are hospitalized and receiving the needed medical attention. 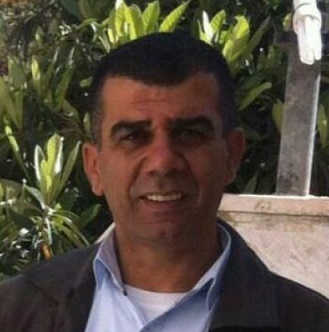 Lawyer Yousef Nasasra, of the Detainees' Committee, stated on Wednesday that Abu 'Aker was moved from solitary confinement in Holi Kidar prison, to solitary confinement in Ramla prison in Beersheba (Be'er as-Sabe',) before being moved to Asqalan Prion, and later to Ayela. The detainee is suffering from several health issues in his stomach and intestines, in addition to high-cholesterol. He used to take five types of medications, and previously had platinum implant surgeries in his legs. It is worth mentioning that Abu 'Aker spent more than 13 years under administrative detention orders, and his latest administrative detention order was supposed to expire on September 11, but was renewed today, Thursday. Abu 'Aker, and the rest of the hunger striking detainees, are refusing to take any medications or vitamins, and are only drinking water. The Palestinian Authority (PA) apparatuses in the West Bank on Wednesday evening kidnapped Al-Aqsa TV’s former West Bank director, Aziz Kayed, along with two university students. A PIC news correspondent quoted the family of Aziz Kayed, who is also ex-deputy Secretary General of the Council of Ministers, as reporting that the PA intelligence in the central West Bank city of Ramallah broke into their home and wreaked havoc on the building before they kidnapped Aziz and transferred him to an unknown destination. 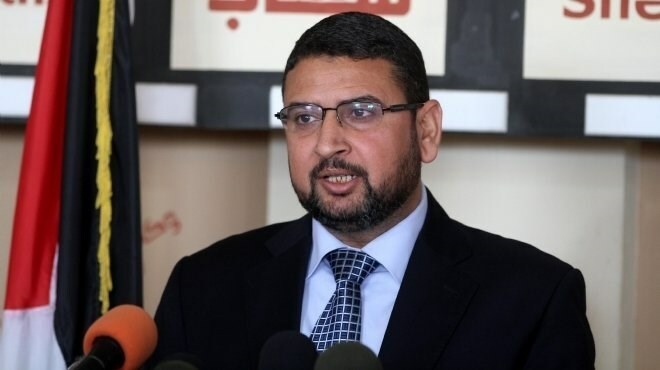 Aziz Kayed, a senior Hamas leader, is a former political detainee who had been held both at the PA and Israeli jails. In a related development, al-Khalil based PA forces abducted the student Muneer Izzat Dofesh, enrolled at the Polytechnic University, from his family home in al-Khalil. Student Dofesh is an ex-prisoner who was released from the PA prisons a few weeks ago. Meanwhile, the PA devices in Nablus nabbed the 24-year-old student at An-Najah University, Abada Murad Shadid, on his way out of a local restaurant, accompanied by his fiancée. “Three armed intelligence officers stopped Abada, who was with his fiancée, near the Pizza Hut restaurant in Rafidia, and dragged him to a red car of the Hyndai Getz brand,” Shadid’s family was quoted by a PIC journalist as stating. The family held the PA devices primarily responsible for the safety of their son. Prisoner Shadid is a fourth year student at the Shari ‘a University and an activist in the student union council. 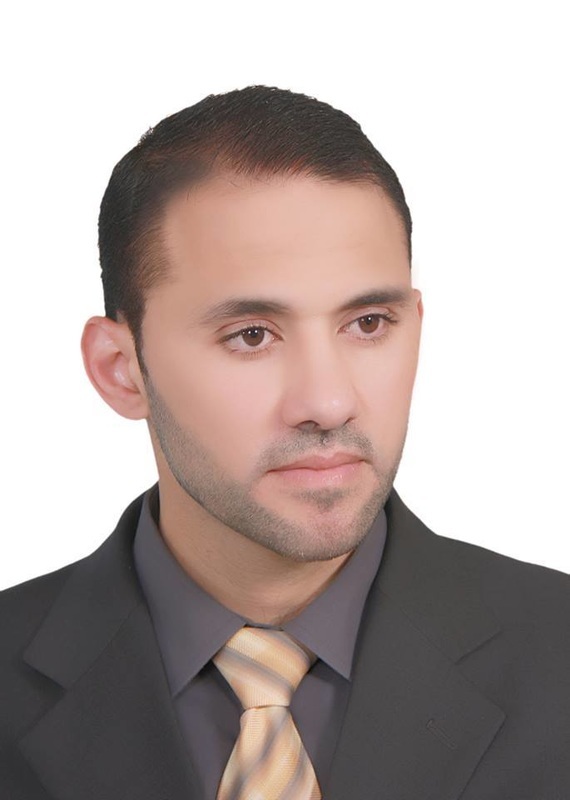 Shadid is also an ex-prisoner released a few days ago from the PA jails, where he had reportedly been subjected to severe torture for over a week’s time. 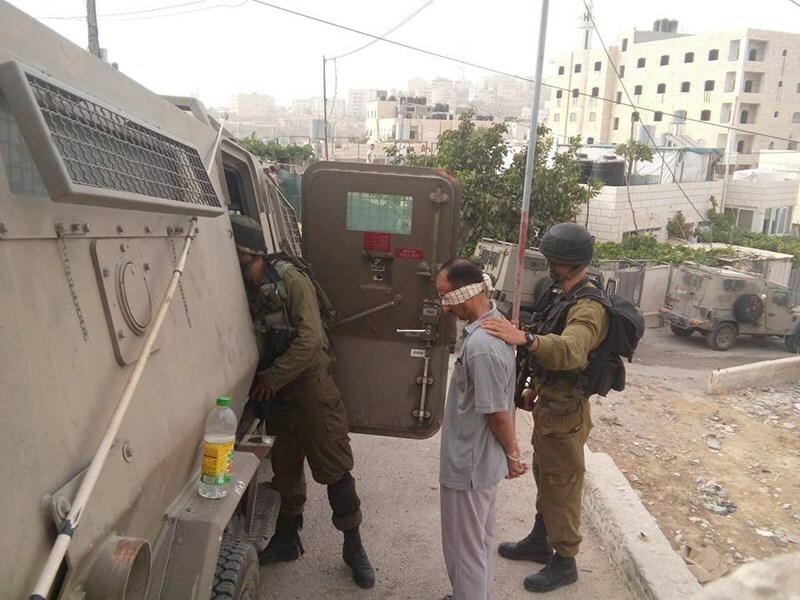 The PA apparatuses further summoned a number of ex-prisoners and Hamas affiliates in al-Khalil’s southern town of Yatta for interrogation on account of their anti-occupation activism. The occupation authorities continue to prevent women from entering Al-Aqsa Mosque under the pretext of “creating problems” during settlers’ break-ins, and the occupation police isolated one young man from Al-Aqsa Mosque for six months. 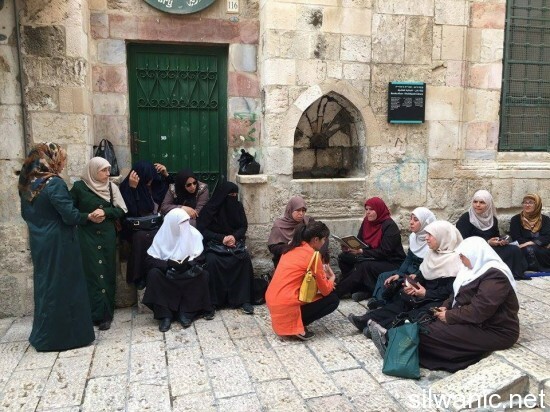 Wadi Hilweh Information Center was informed that 22 settlers broke into Al-Aqsa Mosque on Wednesday protected by the occupation police while women listed in the “black list” were prevented from entering the Mosque. The women barred from entering explained that the list is growing day by day and reached 52 on Wednesday including elderly, journalists and girls. Witnesses explained that the forces detained the men’s IDs before allowing them to enter Al-Aqsa. The Israeli forces attempted to arrest Aida Sidawi while the municipality’s crews attempted to issue her a ticket for “throwing garbage on the ground”. The forces still attempt to provoke the women every now and then and try to assault them by pushing them to prevent them from staying at Al-Aqsa gates. In a related matter, the occupation police isolated on Tuesday Akram Shurafa from Al-Aqsa Mosque for six months as ordered by the Chief of Police. Shurafa explained that the police called him for interrogation at Al-Qishleh police station and handed him the isolation order. He also explained that the occupation isolated him for two years from Al-Aqsa and Jerusalem under the pretext of “security reasons” and pointed out that the prosecution submitted two indictments against him; one for violating the military order of being deported from Jerusalem and the other for violating the isolation order from Al-Aqsa. Video: "Army Attacks Weekly Nonviolent Protest In Nabi Saleh"
Israeli soldiers used excessive force against ﻿nonviolent protesters﻿ at the weekly protest against the Wall and settlements, in Nabi Saleh village near the central West Bank city of Ramallah, wounding many, and detaining five, including the lead news anchor of Palestine TV. Scores of protesters suffered the effects of tear gas inhalation, while many others were injured by Israeli rubber-coated metal bullets. The nonviolent march started from the center of the village, with the participation of Israeli and international solidarity activists. The soldiers assaulted the protesters, firing gas bombs, rubber-coated metal bullets and concussion grenades, and kidnapping Mahmoud Zawahra, Jamil Barghouthi, Mohammad al-Khatib, and Lama Nazeeh. They were released hours after their abduction, while the army threatened to imprison them should they continue participating in the weekly protests. The army also assaulted Palestine TV team, before attacking lead journalist Ali Dar Ali, and detaining him for several hours. While the soldiers were engaging in violence against the local protesters, dozens of Israeli extremists marched from a nearby illegal colony, heading towards Nabi Saleh, while chanting racist slogans. The army did not intercept or detain any of the right-wing Jewish Israeli settlers involved in the provocative action.